This time last year, Samsung commenced work on the firmware development for the Galaxy S8 and Galaxy S8 Plus. Reports indicate that the South Korean company has started work on the firmware for next year’s flagship models two weeks ago. With two firmware numbers (reported as G960FXXU0AQI5 and G965FXXU0AQI5 by SamMobile) it’s also possible to extract the model numbers for the handsets. The SM-G960 will be the presumptively named Galaxy S9, while SM-G965 will be for the Galaxy S9 Plus. Fresh rumours indicate that Samsung’s latest flagship will be the first smartphone to feature Qualcomms’s as-yet-unannounced Snapdragon 845 processor. A Geekbench 4 leak back in September 2017 highlighted the Galaxy S9’s single-core processing score, with the Snapdragon 845 processor attached to it. In case you were interested, the Galaxy S9 recorded a score of over 2,600, a dramatic improvement over the processing grunt of the Galaxy S8. The Samsung Galaxy S8 and S8+ were pretty expensive when they first released, even for a flagship phone: at £679 and £779 respectively, they were bordering on iPhone territory. But if you’re hoping the S9 and S9+ will be cheaper, you’re probably going to be disappointed. The Samsung Galaxy S8 and S8+ were a huge success at the current price point, so Samsung has no reason to reduce the price of the S9. What’s more, it’s very unusual to see a manufacturer reduce the price of a new handset – usually, the RRP just goes upwards with each new release. Samsung generally releases its phones at MWC or at its own dedicated events later in the year. 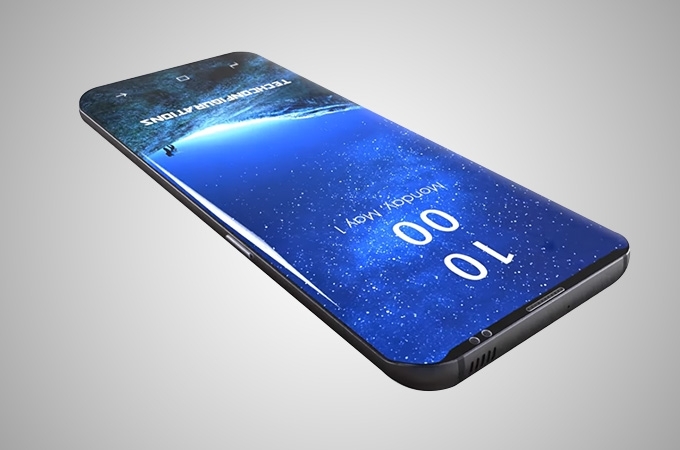 If Samsung is planning to unveil the Samsung S9 at MWC, we should see this in February 2018. If Samsung decides to do what it did earlier this year, however, and release the S9 and S9+ at its own event, expect to see it in March or April of 2018. Judging by the release date of the S8 and S8+, the latter seems most likely.